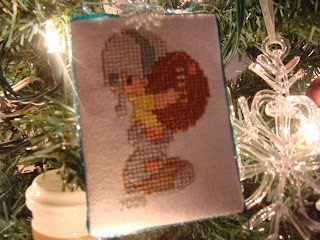 The little football player is for her brand new baby brother Alex who arrived in April. 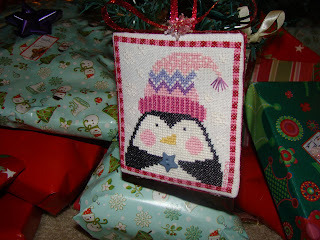 My youngest daughter has a thing for penguins so this was perfect for her.. this was a freebie from Stitchy Kitty. Very cute! I love Precious Moments, very nicely done. I just finished one of those ballerinas! Mom's got the book right now (I stitch the base and she outlines - it's a great system except for the fact that she catches every mistake I make!) but we are just finishing up the entire set of 24, including the nativity characters. 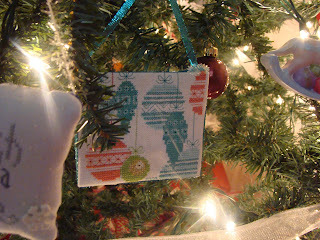 I love your ornaments, expecially the one with the Christmas bulbs on it. 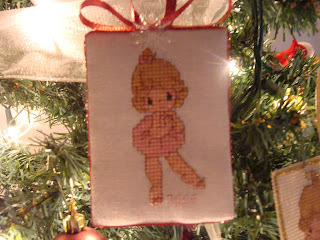 I can't find that one in my Dec 08 issue of Cross Stitcher. Is it in the UK issue? Thanks!